The Daily News of Open Water Swimming: Are You A Floater Or A Sinker In The Open Water? 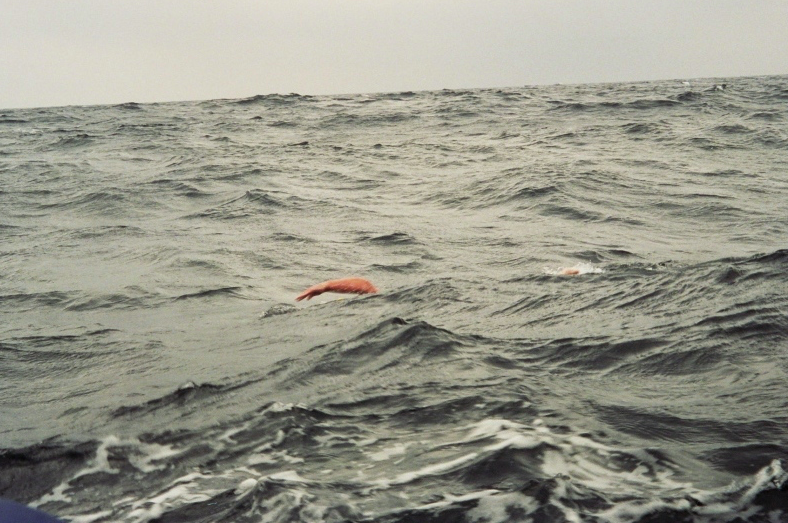 Are You A Floater Or A Sinker In The Open Water? Courtesy of Nuala Moore, Dingle, Ireland. 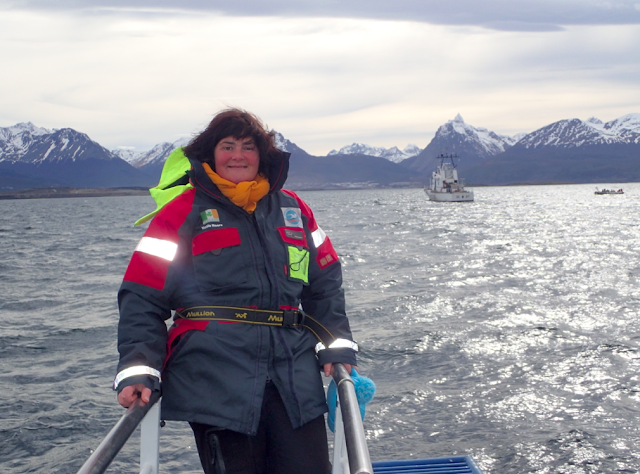 Nuala Moore, an open water swimmer and a veteran scuba instructor, is currently in Patagonia in the Southern Hemisphere. She is planning on swimming in Cape Horn, across the Beagle Channel and the Strait of Magellan this week, dramatically distant and different than her home base in Dingle, Ireland. She discussed about buoyancy in the open water with us and explained why some swimmers are better floaters compared with other swimmers who have a greater tendency to sink. "Archimedes stated in his treatise On Floating Bodies, 'Any object wholly or partly immersed in a fluid is buoyed up by a force equal to the weight of the fluid displaced by the object.' Despite the sweeping statement, it also holds that variations in buoyancy are dependent on the variables of the object (i.e., the swimmer) and the density of the fluid (i.e., the sea). The more dense the fluid, the more buoyant a force will be applied. Salt water and fresh water differ on many levels, but the main difference is the weight of the water. Fresh water is described as weighing 62.4 pounds per cubic foot. Due to the dissolved salts within seawater, salt water is more dense than fresh water. Depending on its salt content (which is also variable), seawater weighs 64 pounds per cubic foot. The more weight or density the fluid has, the more buoyant a force it is able to exert upon objects, forcing it upwards. From a swimming point of view, the easiest way of looking at the water between fresh and sea water is the texture. Fresh water in rivers and lakes is light to the touch and easy to move. Sometimes, swimmers might experience the feeling that they are pulling air. There is no denying that the sea water is thicker and heavier to pull and drive the body through. Swimmers in lakes notice water racing over the swim hat with speed; whereas a wave from behind in the sea is like getting a wallop on the back of the head. All this is the weight differential. Within seawater there are also variables to weight. This includes waters that are saltier (more dense). For example, the Dead Sea bordering Jordan and Israel is the extreme. The southwest, west and northwest coasts of Ireland are heavy by nature of the depths up to 300 meters. The water running down the east coast of Ireland is fast and light to the touch due to its speed racing from the North Channel to the Celtic Sea. The density of the Atlantic on west coast of Ireland and the Irish Sea on the east coast of Ireland varies dramatically. From a swimmer's point of view, the saltier the sea and deeper the water, the more buoyancy of the upward force on the swimmer. There is relative increased density in waters where our eyes sting and remnants of salt is left on our faces. The thicker the water, the harder it is to plow through, but the benefit comes with greater buoyancy, and thus greater the assistance. Swimming higher in the water allows the potential to surf and glide where swimmers lower in the water have to fight and push under the waves. The tendency for solid substances to float or sink in water is measured by specific gravity. In terms of buoyancy, people can be classified in two ways; floaters and sinkers. This is dependent on the various tissues within the body. Fresh water is assigned a value of 1.0. Substances with a value less than that will float and more than that will sink. Fat tissue has a specific gravity of between 0.7-0.9. Bone is 1.9 and muscle 1.08. Dependent on the factors such as ratio of fat to muscle, the size of the individual, muscle mass, and the weight of the bones, the human body tends to either sink or float only slightly when in water, especially due to the combination of other factors such as density of the water, depth and weight. Women have what is termed in diving as 'hollow legs' that describe the difference between males and females immersed in fresh water: male legs fall downward and female's remain buoyant. The benefits of buoyancy in swimming are numerous, but what does that mean regarding speed advantage? If you have a still fresh water and a still sea water area, there are variables such as tides, flows, the moon, and rips. None of this is visible from the surface for lakes are incredibly deceptive by their nature. Local knowledge is integral as lakes have eddies and return flows. That is, if a lake has a river running in and out, when the water tries to exit and there is not enough space, the leftover volume of water returns back down the lake. Islands experience circular flows and can increase speed due to the tides. To compare the distance and time variable between two swims and try to determine the advantage of buoyancy between sea water and fresh water, I suggest the only clinical possibility would be in a shallow water beach front without movement and a dam where there is zero flow in or out that could influence the progress. Every other body of water has too many variables.